Research Financing Options Before Buying a New Car | The Consumer Law Group, P.C. Most new car buyers spend a good deal of time researching the features they want in a new car. They narrow their selection down to a certain size, price range, and available options before even hitting a dealership’s floor. Once there, they test drive cars and carefully select the bells and whistles they want before making a decision. However, too many of these shoppers fail to research the most important aspect of buying a new car—the financing. Car salesmen know that very few shoppers have investigated their financing options and will take full advantage of this fact. Since much of a dealer’s profits come from financing, they are happy to be a one-stop shop for car buyers. However, dealer financing terms are not often the best deal you can get. That is why you would be smart to have financing in hand when you arrive at the dealership. 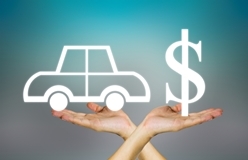 The first step in the car-buying process is to understand what you can afford in a new car. Once you have a maximum amount in mind, you can make other choices accordingly. When you finance a car, you pay it off over a period of time, but it is important not to overspend just because you will be paying in smaller installments. There are several options for car financing, including banks, credit unions, and auto finance companies. Once you get an offer you are happy with, you can then take that offer to the dealership with you. This will be a valuable tool for negotiating with the dealer for a better financing offer. If the dealer cannot beat the deal, do not be tempted by a sales pitch to go with dealer financing. Stick with your third-party offer and never believe any "pitch" that after a year you haven't missed any paymnets you can get a lower rate! If you suspect your car dealer of dishonest practices, you should report him to the Federal Trade Commission (FTC). If you have been taken in by the dealer and have unknowingly agreed to unfair terms, you may want to sue the dealership for auto fraud. Contact The Consumer Law Group to find out if you have a case against a dealership by filling out the form on this page. We will reply shortly.